NBC Universal has filed suit against a dirt-track racing series, alleging that it breached a $6.4 million contract to buy airtime on NBC Sports. Court papers shed light on what NBC charges programmers for time buys on Sunday afternoons. The suit charges Championship Off Road Racing (CORR) with owing NBC $4.8 million on a deal to air races on NBC -- originally nine each in 2008 and 2009. After experiencing financial trouble last year, CORR collapsed. LOORRS Round 3/4 Photo Jihad! Corona, Ca. 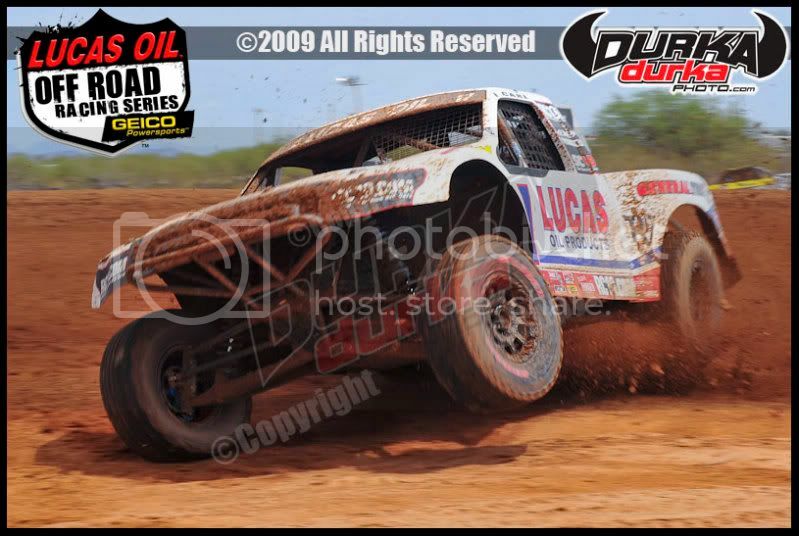 (May 6, 2009) - As preparations are underway for the Lake Elsinore stop of the Lucas Oil Off Road Racing Series, Team Lucas partner, E3 Sparkplugs has agreed to present a significantly enhanced purse to three marquis truck classes. For the June 27th and 28th rounds at Lake Elsinore, E3 Sparkplugs with DiamondFire Technology, will provide $10,000 each day to the winners in both Unlimited 2 and Unlimited 4 as well $5,000 for second and $2,500 to the third place finisher. The Unlimited Lite winner will be presented a check for $5,000 with $3,000 and $1,500 to second and third respectively. As a special surprise element, an additional $500 prize will be presented to a randomly selected driver from the finishing field in all three truck classes. With a sold out standing room only crowd for rounds 3 & 4 in Surprise Arizona, the enhanced purse combined with the door banging, competitive racing anticipated at Lake Elsinore is likely to draw racers and fans alike for rounds 6 & 7. "We are tremendously pleased with the event in Arizona. The teams and the crowds came out and we were all treated to an incredible event and extraordinary racing," commented Lucas Oil's Bob Patison. He continued, "We are fortunate to have such a valued partnership with E3 and they share our excitement for the Lucas Oil Off Road Racing Series. Due to their commitment, this is a great opportunity for our racers to come out and compete for some truly sizable dollars." LAS VEGAS - Following months of speculation, days of negotiations and hours of discussions, All-American off-road racer Rob MacCachren of Las Vegas debuts his own short course racing program this year and has committed his Rockstar Energy Racing team to compete in the new Traxxas TORC Series. ROB MAC MacCachren, 44, a four-time selection on the American Auto Racing Writers & Broadcasters Association (AARWBA) Auto Racing All-America team, will drive his Dave Clark-built No. 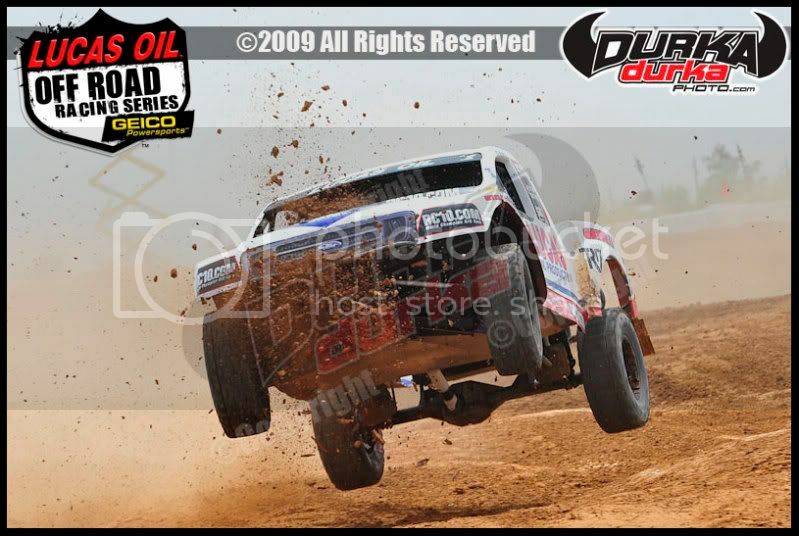 11 Rockstar Energy Ford F-150 in the Pro 2WD division in the new short course series. The series, which will run primarily in the Midwest and West Coast, debuts next weekend at Texas Motor Speedway in Fort Worth. With the help of team sponsors Rockstar Energy Drink, BFGoodrich Tires, Fox Racing Shox, MasterCraft Seats, KC HiLites, Pro Am, Patton Racing Engines, Rancho Drivetrain Engineering and DIRTnewz, MacCachren's Rockstar Energy Racing team will compete in the entire 16-race inaugural season of the TORC Series, which is headed by motocross and supercross racing legend Ricky Johnson. MacCachren will also continue to compete in the five-race SCORE Desert Series, where he has won eight season point titles in his career and has 43 class race wins. 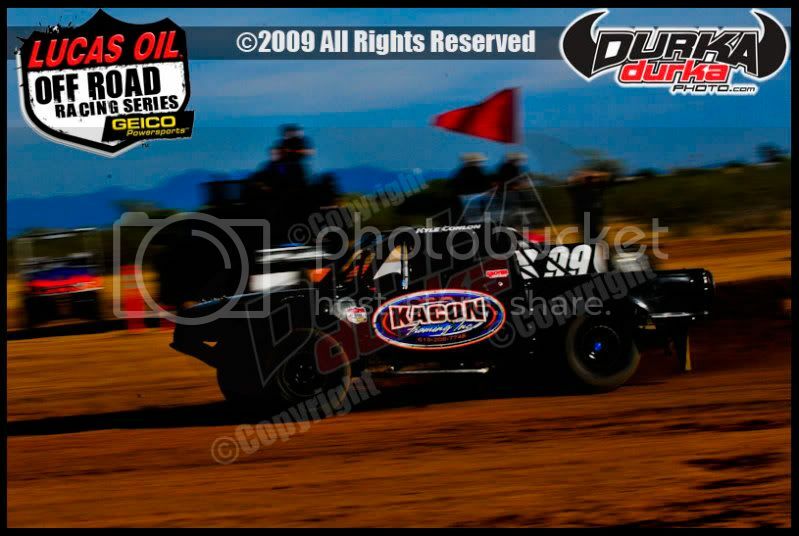 MacCachren races the No. 3 Riviera Racing Rockstar Energy Ford F-150 in the featured SCORE Trophy-Truck division. "It's wonderful to be able to drive for someone else, but the financial investment is less in short course racing as compared to open desert racing. 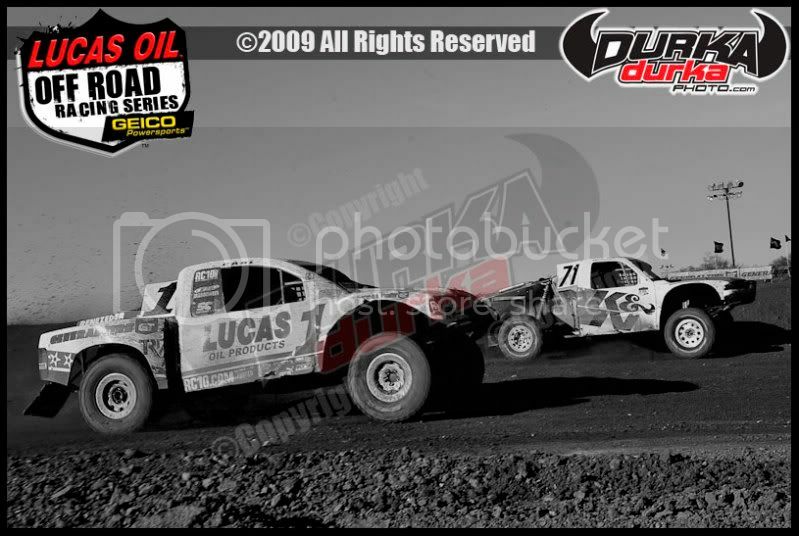 I have owned and operated my own short course race team in the past. The race program was successful for several years in the old Midwest series and we won several championships," said MacCachren, considered one of the premier drivers in the history of stadium, short-course and open desert racing. "With the uncertain economic times the world is going through, I'm ecstatic over the tremendous support from our race team partners. The world of short course racing is in the midst of a defining period. The timing is just right for me to make the move to re-establish what I started over ten years ago. Our two primary partners, Rockstar Energy Drink and BFGoodrich Tires, have provided us with genuine resources for the 2009 race season. Our associate partners have stepped up with their sponsorships and we couldn't race without their sincere support. I love to race and I've had great success in short-course racing, especially in the Midwest. I am looking forwarded to kicking this season off at Texas Motor Speedway," remarked MacCachren. A second generation desert racer, MacCachren has five career race wins in the legendary SCORE Baja 1000 and another five in the SCORE Baja 500. 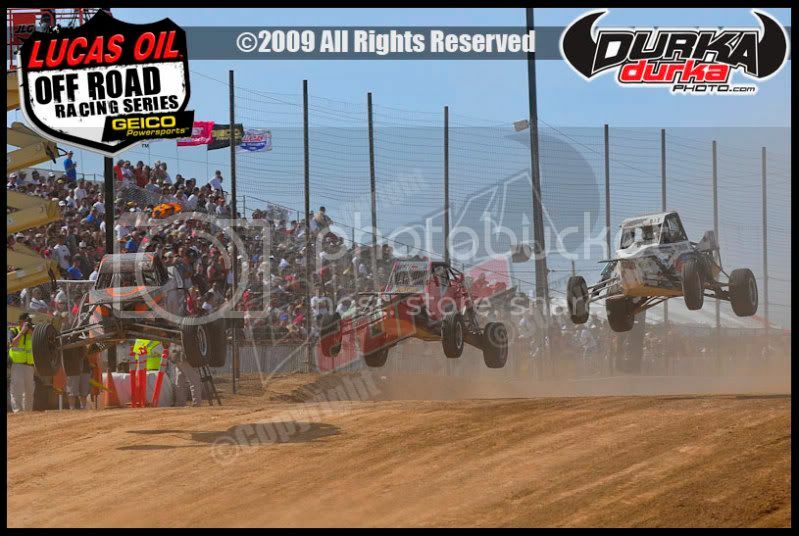 Round 3 of the 2009 SCORE Desert Series, the 41st SCORE Baja 500 will be held June 4-7 in Ensenada, Mexico. The Riviera Racing Rockstar Energy Drink sponsored team is currently second in season points in SCORE Trophy-Truck, the marquee racing division in desert racing for 800 horsepower, high-tech, unlimited production trucks. 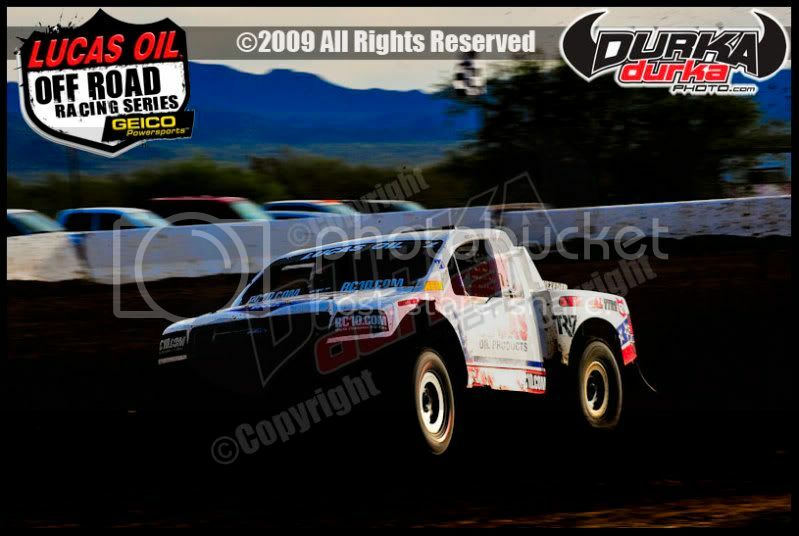 MacCachren, who was voted as the 2008 SCORE Person of the Year by the SCORE membership, was the 1994 SCORE Trophy-Truck season point championship, the year the superstar class debuted in the desert. He has seven career SCORE Trophy-Truck race wins. 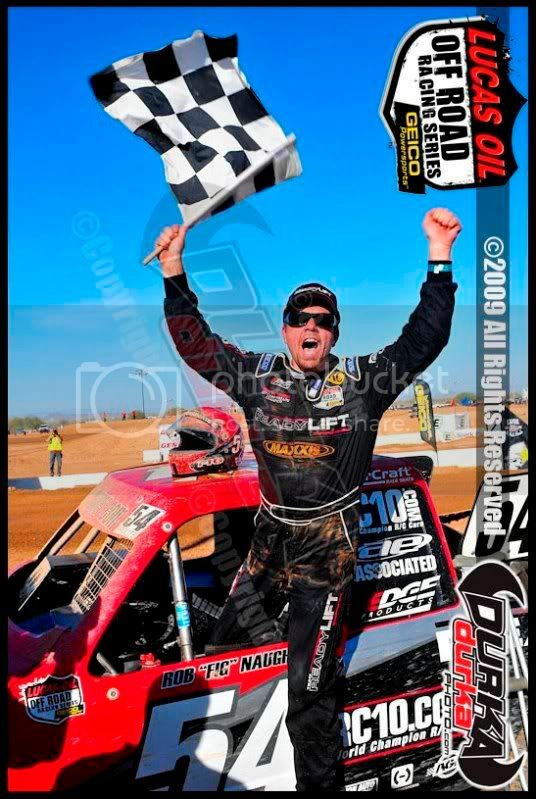 In the abbreviated 2008 Championship Off Road Racing short course series, which completed 12 of 16 races before going out of business, MacCachren earned season point championships and 10 total race wins and five seconds in both the Pro2 and the Pro Buggy racing divisions. For his short course career, MacCachren now has 70 race wins, including three prestigious Borg Warner Cup Championships in 1999, 2000 and 2001. The Borg Warner Cup Championship is held on the Labor Day holiday at Crandon International Raceway in Crandon, Wisconsin. MacCachren was also victorious in The Governor's Cup in 1995, 2000 and 2001. 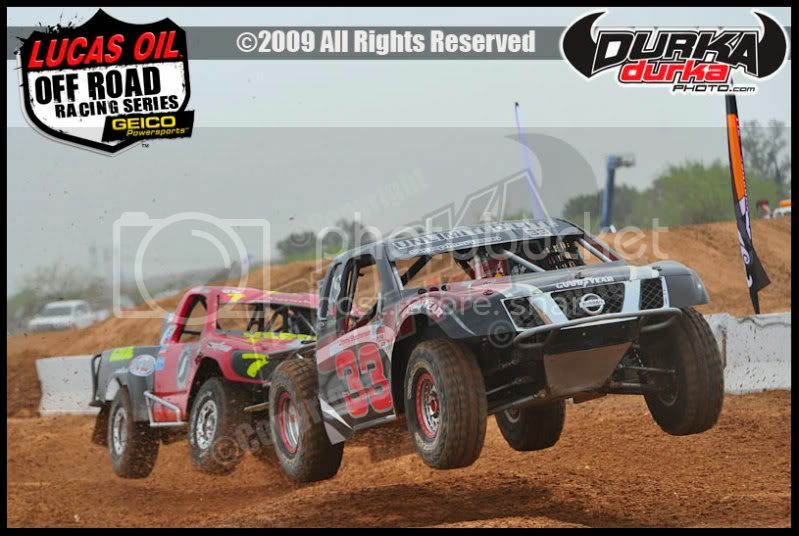 The traditional Governor's Cup is held in the June at Crandon International Raceway. After winning consecutive CORR Pro-4 class point championships in 2000 and 2001, MacCachren went onto to win class point titles in two desert series in the same year. At the conclusion of 2001, Rob MacCachren was voted to the AARWBA All-America first team for his championship efforts in off road racing. 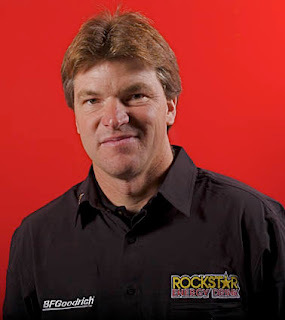 "Rob is not only an ambassador for the Rockstar Energy Drink race team, but for the sport of Off Road Racing," said Michael Kelso, Marketing Director for Rockstar Energy Drink. "It is an absolute honor to call Rob a friend and have him as a racing partner. 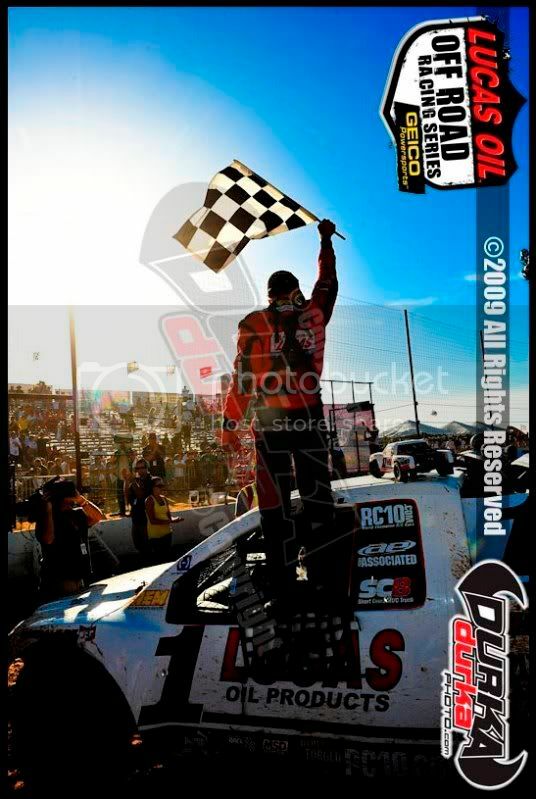 I look forward to sharing the successful 2009 season with Rob "The Doctor" MacCachren!" MacCachren also made the AARWBA second team in 2004, the first team again in 2005 and was recognized on the honorable mention list in 2008. "Rob MacCachren continues to be the one of the best off road drivers in the sport today," stated Frank DeAngelo, BFGoodrich Tires Off-Road Manager. 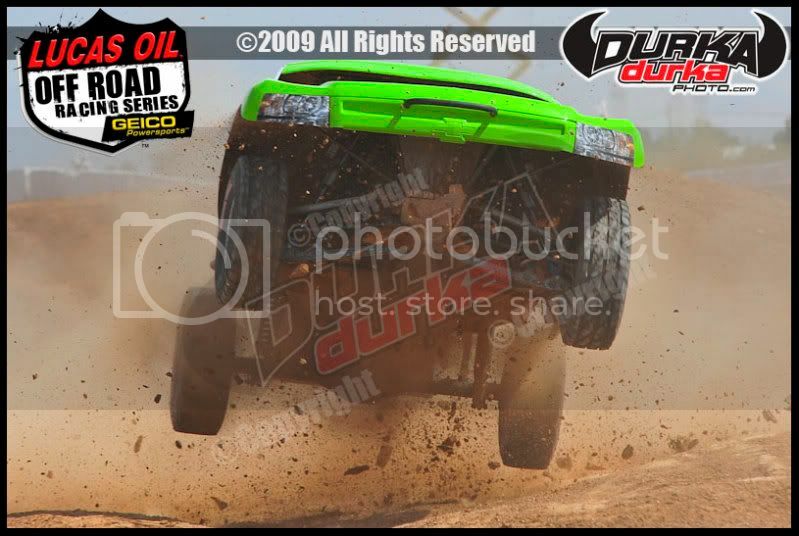 "He may even be the best all around off road driver the sport has ever seen. 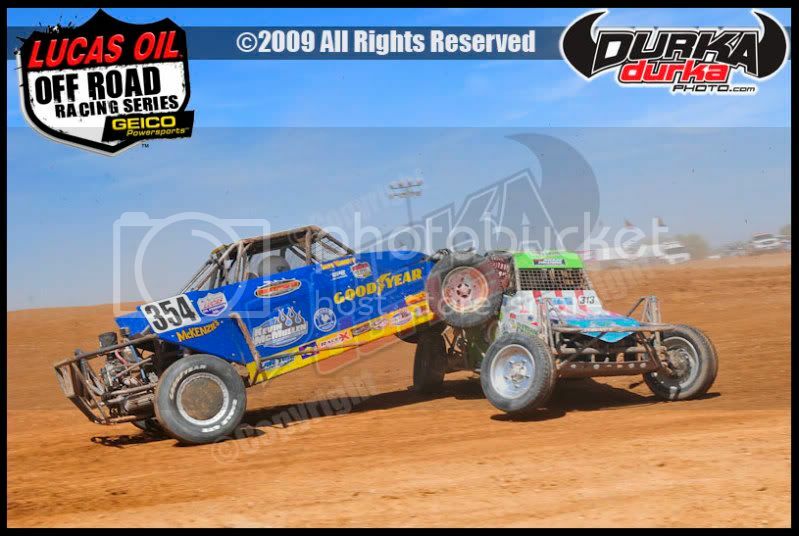 He races in both short course and desert in both open wheel and truck classes with one common result; he wins races and championships. His professionalism as well as performance on and off the race track is unsurpassed. 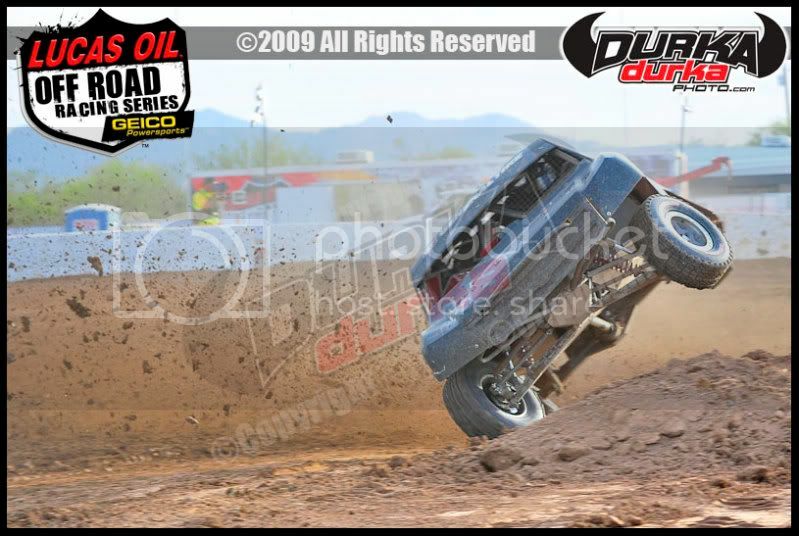 Rob has been racing and winning on BFGoodrich Tires since 1991. 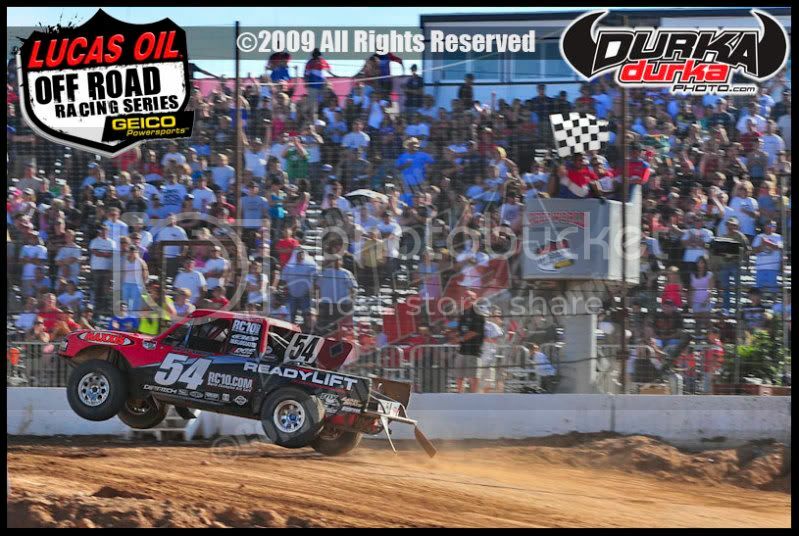 We consider Rob a great ambassador for BFGoodrich tires and the sport of off road racing." To assist him in his quest to capture the Pro2WD championship in the TORC Series, MacCachren has put together a formidable team to accomplish his goal. About Rockstar: Bigger. Better. Faster. Stronger. ROCKSTAR is the world's most powerful energy drink. Enhanced with the potent herbal blends of Guarana, Ginkgo, Genseng and Milk Thistle, ROCKSTAR is scientifically formulated to provide an incredible energy boost for those who lead active and exhausting lifestyles-from athletes to rock stars. PARTY LIKE A ROCKSTAR! Rockstar Energy Drink, BFGoodrich Tires, FOX RACING SHOX, Mastercraft Race Seats, Pro AM, Rancho Drivetrain Engineering, Patton Racing Engines, KC HiLites and DIRTnewz. For nearly 30 years, Rob MacCachren has been racing in the open desert. As a second-generation desert racer, Rob began his career following in the footsteps of his father while growing up in the Nevada desert. His career accomplishments include winning three consecutive Borg-Warner Championships, as well as three Governor's Cup Championships, all at Crandon International Raceway in Wisconsin. 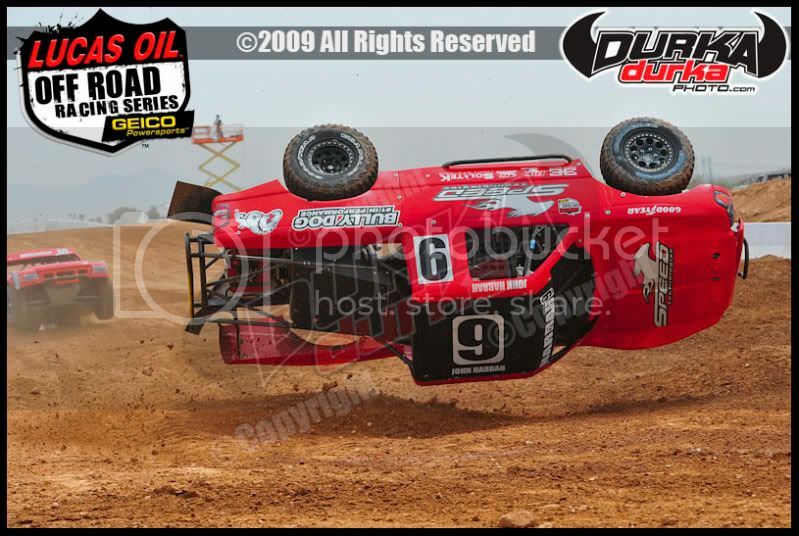 Rob has also accumulated 5 SCORE Baja 1000 victories and another 5 SCORE Baja 500 wins. MacCachren was heralded as the premier driver after winning the longest distance (1296 miles point-to-point) SCORE Baja 1000 ever held in 2007. 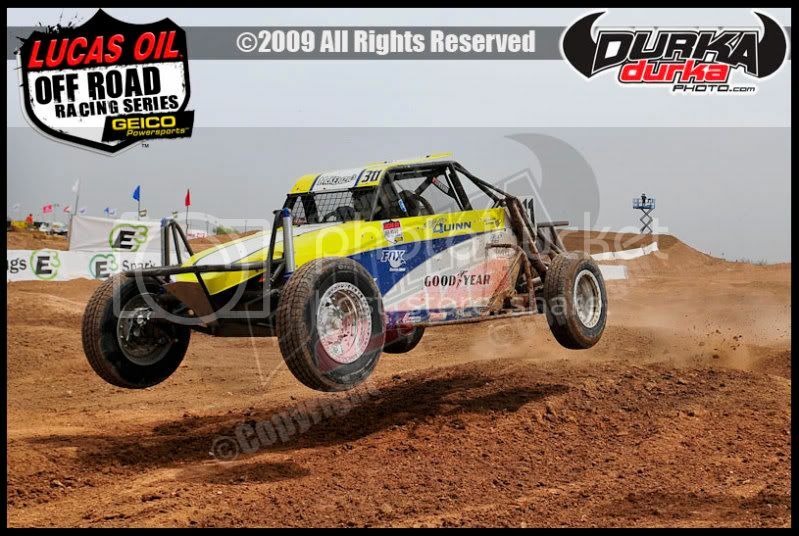 The multi-disciplined championship racer has accumulated over 150 victories and numerous championships between closed short course and open desert racing. LOS ANGELES—Sunoco Race Fuels, the official fuel of SCORE International and the SCORE Desert Series, has announced a special cash contingency bonus posting of US$5,000 for the overall four-wheel vehicle winner of next month’s 41st Annual Tecate SCORE Baja 500 desert race. 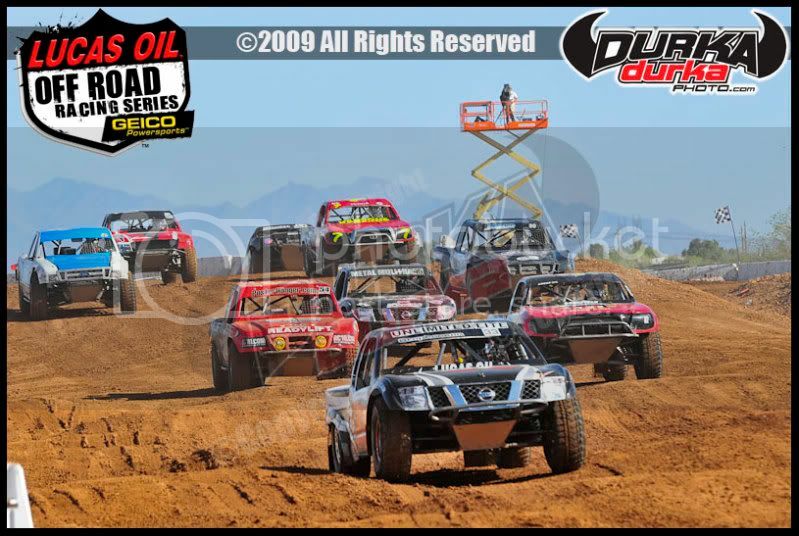 Round 3 of the five-race 2009 SCORE Desert Series, the World’s Foremost Desert Racing Series, will feature over 250 entries, competing in 28 Pro and 6 Sportsman classes for cars, trucks, motorcycles and ATVs, will be held June 4-7 in Ensenada, Mexico. Traditionally one of the most popular events on the SCORE schedule, over 150,000 spectators are expected to enjoy the world’s best desert racers in action at this year’s 41st anniversary of the Tecate SCORE Baja 500. With late entries excepted up to race morning, over 250 entries are expected from 25 U.S. States, and 10 countries. The green flag will drop for the race at 6 a.m. on Saturday (June 6) for the motorcycle and ATV classes in the Tecate SCORE Baja 500, followed by the car and truck classes three hours after the last ATV at approximately 10 a.m. The elapsed-time race will start and finish in front of the Riviera del Pacifico Cultural Center on Boulevard Costero in the heart of Ensenada, leaving and returning into the city through the spectator-laden Arroyo Wash.
Sunoco, whose race fuels were used by 17 class winners in the 2008 Tecate SCORE Baja 1000, has been associated with racing excellence for decades. Since the mid 1960s when Sunoco and the Roger Penske Racing Team with Mark Donahue forged what would be a long and successful alliance, the company has grown into an industry powerhouse. In 40 years, Sunoco has expanded the reach of its racing fuels line around the world to include all types of professional motorsports and other activities where premium race fuels make a difference. Sunoco blends all of its race fuels in-house and besides SCORE, is also the official fuel of NASCAR. For information regarding ordering Sunoco Race Fuel, contact Bill Rodriguez at 619.247.1798 or Terri Rodriguez at 619.247.1797 or via e-mail at Sunoco-racegas@hotmail.com. Prominent Central California developer, general contractor and rookie desert racer Greg Nunley along with Randy Wilson, Ryan Penhall and Santos Perez all drew pole positions in their respective divisions during the computerized drawing for starting positions held on April 25. Pre-running will open on Friday, May 22. While late entries will be accepted up to race morning, among the 222 official entries to date, the Pro 4-Wheel vehicles classes with the most entries are: SCORE Trophy-Truck (24) and Class 1 and Class 1-2/1600 (with 16 each). Leading the Pro Motorcycle classes in entries so far are Class 22 (17), Class 30 (11) and Class 21 (10). Class 24 leads the Pro ATV classes with seven entries to date. Among the Sportsman classes, SPT Motorcycles over 250cc has 20 entries and SPT Motorcycles under 250cc has 11. In addition to season point class point championships, drivers in the Pro car and truck classes are also racing to earn prestigious SCORE Toyota Milestone Awards given to all drivers who complete every required mile of the five-race season. Being presented by Toyota Motorsports for the 24th consecutive year, a total of 32 drivers remain eligible after Round 2 of the 2009 SCORE Desert Series. 10am-5pm Contingency Row Blvd. Costero, next to Riviera del Pacifico Cultural Ctr. 10am-6pm Tech Inspection Blvd. Costero, next to Riviera del Pacifico Cultural Ctr.